Is Ethereum Dead , when Ethereum will hit Zero. 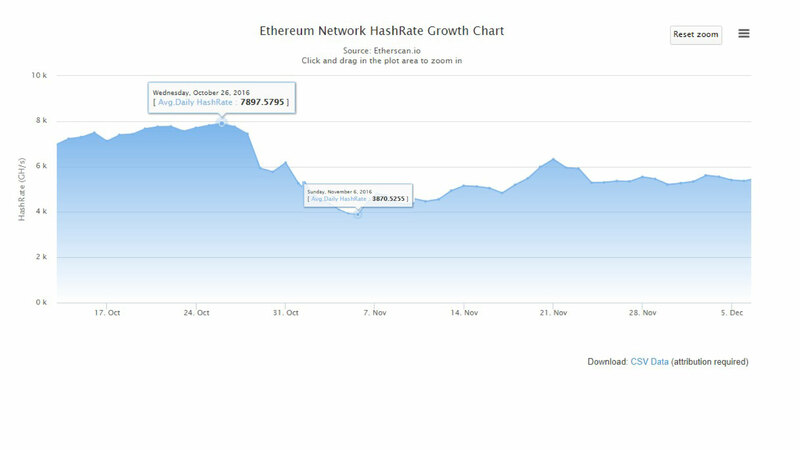 So everyone is curious when Ethereum network hashrate will come down . And finally it has started to come down significantly , and this means that ethereum mining isn’t profitable for many people and they are switching out their mining rigs. In the last month it has dropped about 40TH which is about 15% drop from total network hasrate. 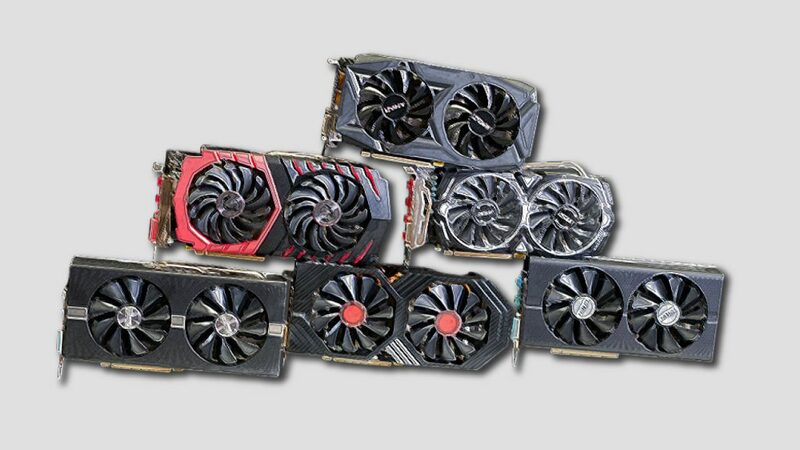 Which is about 240k 6xRX570 GPU mining rigs, which is a lot. And what does this mean, it reduces the cost we need to keep network alive. So miners doesn’t need to exchange as much their mined Ethereum, this stops inflation. 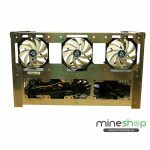 Where to feed 40TH mining rigs at around 10c would cost 13milj usd a month. So Ethereum network is saving now 13milj a month. Which is quite a lot. Facebook , forums , chats are flooded with Ethereum disbelievers and haters 😊 Which in my opinion is good , finally we starting to see more and more people who is negative. Which could be protentional Ethereum Bear market end. People are saying Ethereum is dead, it is going to 0….etc . Biggest hasrate drop ever, 50TH in one month. 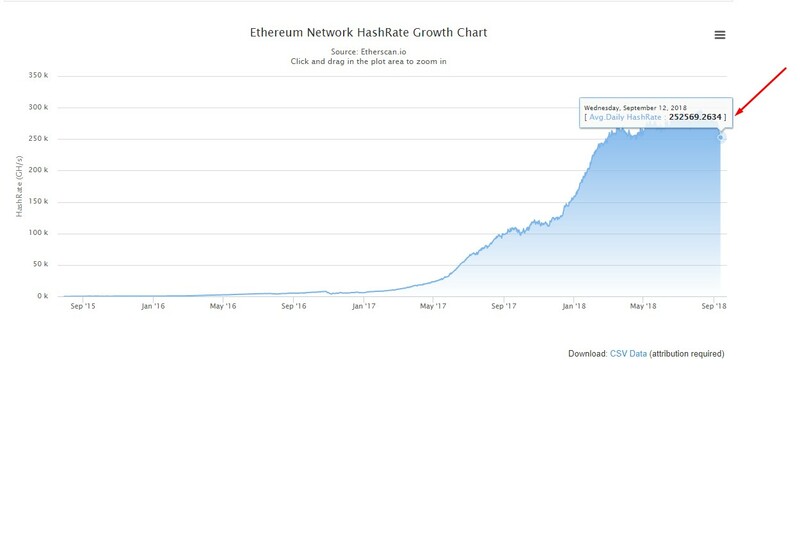 Let me tell you guys I have seen bigger drops in Ethereum hasrate , it was 50% drop in 2016 October and November. When it went from 8th to 4Th total network hasrate. Same thing happened And I seen a lot of my friends , selling their mined Ethereum at 6usd. And also where telling it will go to 0. You know its only my opinion and im not saying it has to be correct, but I really don’t agree with the guys saying this is going to hit ZERO. Because there is technology behind it and it is actually one of the most used blockhains currently with averaging 500-600k transactions every day. I do believe that we are in normal market cycle, and there cannot be infinite growth , there has to be market correction. And people are looking for reasons why these price drops happens. Don’t forget that to move crypto price is much more easier then stock markets. And in the first place , we shouldn’t event went up so high in price. Because of the greed and dumb money flown into crypto. This drop has to be so big cause to much dumb money was in it. People offering get rich quick schemes, and now they have learned their lesson the hardway. Ethereum isn’t the only currency getting slaughtered -10x , there are many more. Name it most currencies from top 10 Market cap has gone down in value -10x. Except from Bitcoin, which is the Daddy. I just think cause most of the trading volume goes trough bitcoin, most of the coins you can buy with bitcoin. 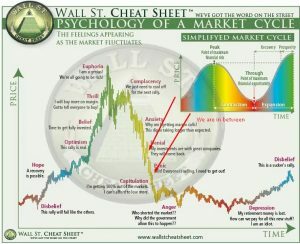 I think we are in between denial and Panic in Market cycle, people are really starting to doubting the use case and existence of crypto. 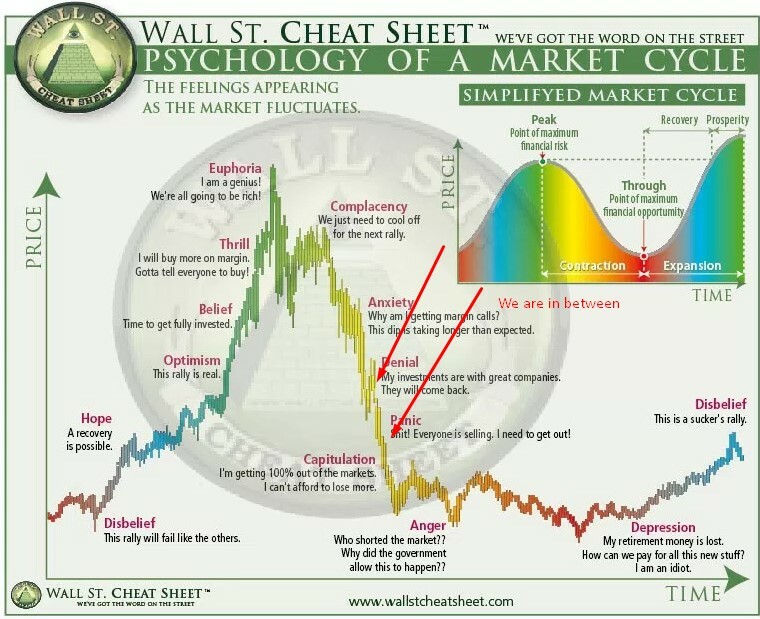 When we will see a massive drop like 1000 drop in bitcoin price in less then a day , think we will be in panic cycle which means its finally over and we can reach new all time highs again. Most efficient 8xGPU Ethereum mining Rig.Antminer Z9 review , how to mine Zcash!